The tradition of the Chamber's Inspirational Breakfast began in 1973 as an annual Prayer Breakfast. Throughout its history, this very special breakfast, served by VFMA Cadets, has been described as a celebration of our lives as Americans. It is an acknowledgement of the privileges we enjoy each day. Featured Nonprofit: Phillies Charities, Inc.
Members invest in their success, their employees and a stronger regional economy. They are ambitious, growth-oriented and often do business with each other. 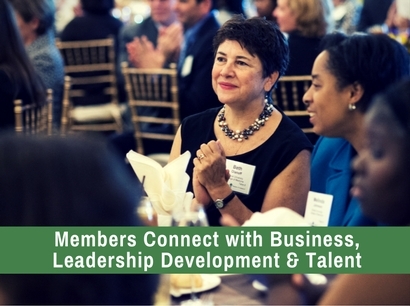 Join today to connect with business, leadership and talent through the many resources of The Main Line Chamber. The advancement of technology has afforded us the resources to enhance learning and productivity, but it hasn't replaced the value and importance of face-to-face interactions. The Main Line Chamber of Commerce continues to show the power of in-person connection through its various channels including communications, social media and networking events. Click here to read the effective ways we continue to strengthen communication within the community.